"The direct use of solar heat may be extended somewhat, with good results, in specially designed buildings, but it is unlikely that freak houses mounted on turn-tables and operating as rotating solaria will be of immediate importance. Even if large numbers of these special buildings were constructed, there would still remain the problem of heating the enormously greater number of houses that are already in existence." This argument struck me because I couldn't think of ANY freak houses mounted on turn-tables in the solar house movement. The solar house was a popular concept in 1945, and its basic definition was not freakish: large areas of glass facing south with proper shading. 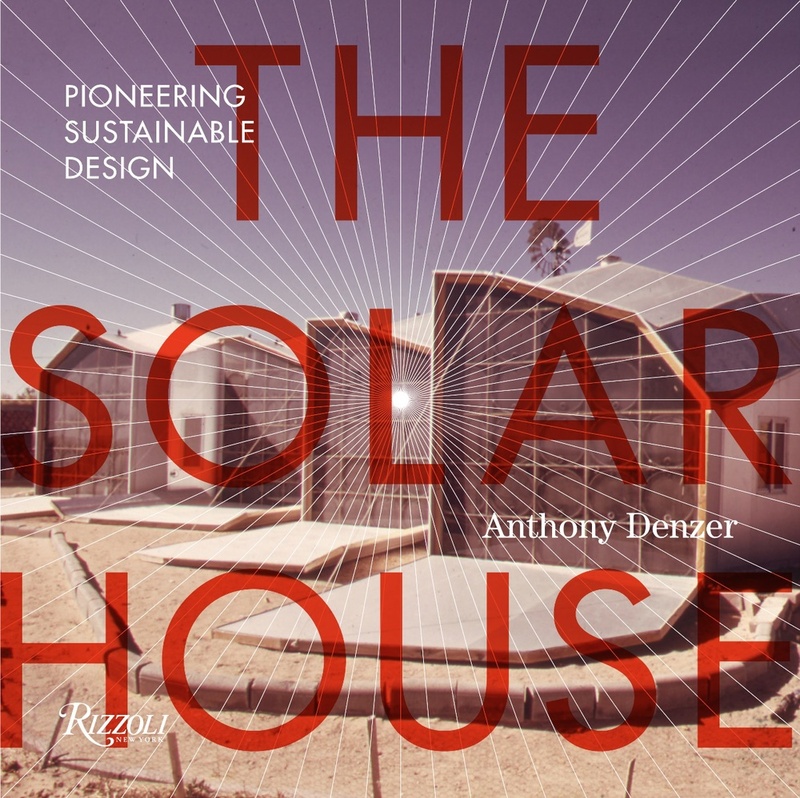 Non-rotating solar houses were frequently featured in popular magazines and architecture journals. Most were quite normal-looking. I finally decided Allcut must have been thinking of the Villa Girasole, a historical oddity with practically no precedent, built near Verona, Italy, in 1929-35. This large L-shaped building could rotate on a massive turntable-like base. Because Invernizzi named his house Girasole (sunflower), it can certainly be located within the larger category of sun-responsive architecture. One might assume that that the building would face the sun as it moved across the sky. But, as Chad Randl has noted, the family occupied the house in summer only, and consequently it was usually turned away from the sun. (Chad Randl, Revolving Architecture: A History of Buildings that Rotate, Swivel, and Pivot, Princeton Architectural Press, 2008) Period photos also show heavy exterior window coverings. There is no evidence that solar heating played any role in its conception, and it was never touted as a "solar house." The other major revolving structure of this period was the "Solarium Tournant," built in Aix-les-Bains in 1930 by Dr. Jean Saidman as a clinic for tuberculosis and rickets. The upper platform moved to follow the path of the sun throughout the day. With the appearance being a cross between a Dutch windmill and an early flying machine, the structure was perhaps even more 'freakish' than the Villa Girasole. If Allcut directed his remark to this structure, he was being deliberately obtuse, since this building had almost nothing in common with the "solar house" as it was understood in the mid 1940s. Another rotating house not discussed in the book: La Maison Tournante, by François Massau (Wavre, Belgium, 1958) --- too late to be the object of Allcut's remark. I find roof especially interesting, but I am at a loss to determine a scientific or environmental reason for its eccentric shape. Information about this project is scant, but it seems Massau's wife was ill and she needed sunlight and heat for her health. This would again place the building in the genre of sun-responsive architecture, or more accurately heliotherapeutic architecture in the tradition of the tuberculosis sanatorium. It does not appear to have been an experiment in solar heating for fuel savings. Massau was in the coal business; neither an architect or engineer. Apparently he built three rotating houses and they all remain working. Finally, in her 2005 article "What Tuberculosis did for Modernism" (Medical History), Margaret Campbell briefly discussed the phenomenon of Revolving Summer Houses, which were popular among the Dutch and elsewhere in Northern Europe in the early 20th century. These were typically small, one-room structures built for therapeutic purposes. Again, they were never part of the future trajectory of solar-heated architecture, and could not have been on Allcut's mind when he made his curious remark. Revolving summer house (1925) in Edinburgh. From "What Tuberculosis did for Modernism" by Margaret Campbell (Medical History, 2005).